THOROFARE, N.J — Nov. 29, 2012 - Checkpoint Systems, Inc. (NYSE:CKP), a leading global supplier of shrink management, merchandise visibility and apparel labeling solutions for the retail industry, today introduced its Infinite Solutions (iS) product series. This product line was closely developed with several large global retailers with the objective of fulfilling a need to provide the visual deterrence of a hard tag. The iS product series adds an additional layer of protection to merchandise that otherwise might have been left unprotected against shoplifting. The initial introduction consists of the iS Pro Tag, which is the first electronic article surveillance (EAS) solution offering the loss prevention performance benefits of a disposable label with the look and feel of a hard tag; and the iS Surround Tag, which offers retailers a one-time, disposable wrap solution with a fixed EAS attachment peg. The iS Pro offers flexible attachment options and can be easily secured anywhere on the merchandise with a simple clip, providing the visual deterrence of a hard tag. 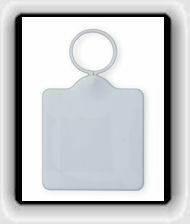 After the merchandise is purchased, the tag is removed at home by the customer. iS Pro was designed for use with apparel, accessories, shoes, jewelry and more. During pre-launch tests, retailers specifically noted increased speed at point of sale, improved on-shelf availability metrics on protected merchandise, and increased customer satisfaction resulting from having merchandise available on open display. The iS Surround offers a visual deterrence for a wide range of packaged merchandise with the added benefit of being disposable. Retailers complimented its versatility in protecting a wide variety of merchandise, from gift-boxed perfume and accessory packages to shoe boxes, small electronics and more. The iS Surround wraps tightly around the merchandise and features permanent adhesive on the EAS attachment, ensuring that even if the strings are cut or tampered with, EAS protection remains securely fastened to the box. According to Farrokh Abadi, President & Chief Operating Officer Shrink Management Solutions, Checkpoint Systems, "Working closely with our retail customers yielded this new iS product line which offers a fresh and much-needed solution during these challenging shrink times. This product range offers added flexibility to protect merchandise with the visual deterrence of a hard tag, the efficiency of a disposable tag and the benefit of increasing on-shelf availability of protected merchandise." 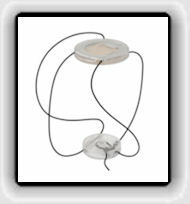 The iS Pro Tag and iS Surround Tag are available immediately.